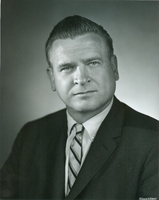 Photograph of G.M. Hopkins with rectors. 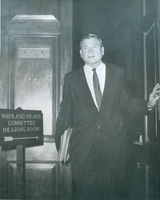 Photograph of Dan Rostenkowski exiting the Ways and Means room. 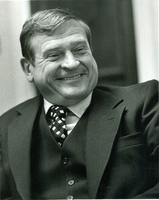 Portrait of Dan Rostenkowski in his office. Photography of Dan Rostenkowski's Ways and Means portrait. Rostenkowski sitting behind his desk.